What To Expect In A California Personal Injury Trial ? As Fresno injury attorneys, we know that a personal injury caused by someone else’s negligence can happen to almost anyone. 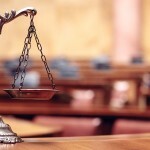 Whether to settle a personal injury case or take the case to trial can be a difficult decision. If you are not being offered the compensation that you need and deserve after being injured, your personal injury lawyer may recommend taking the case to trial. 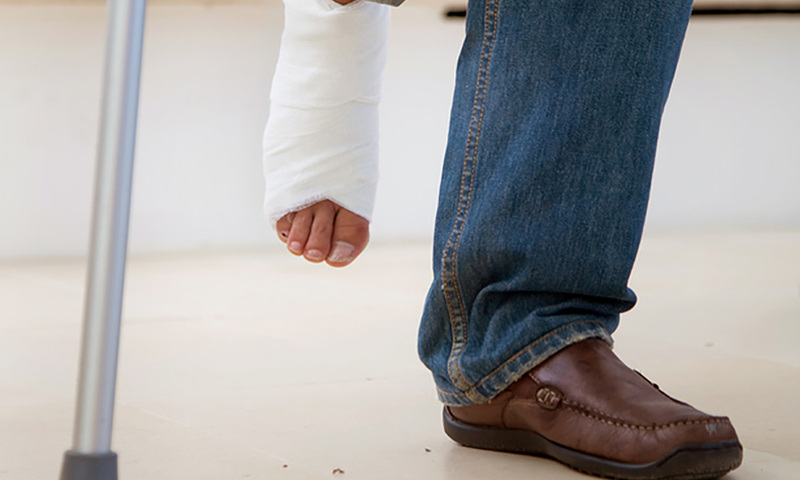 In the greater Fresno area and across the state of California, if you are injured due to another person’s negligence, arrange at once to consult an experienced Fresno personal injury attorney about your case. If your personal injury involves a traffic or workplace accident, an accident on private property, a defective consumer item, or an incident of medical malpractice, you have the right in this state to full compensation for your medical expenses, lost wages, and additional related losses. Although you are entitled to compensation when you’re injured by negligence in California, it is not automatic. You must prove you are entitled to the compensation by proving that the party you name as a defendant was actually negligent – and that the negligence resulted in your injury. When a personal injury lawyer takes your case, a lawsuit is never the first move. First, your attorney will attempt to negotiate an out-of-court settlement that will be acceptable to everyone. More than ninety percent of personal injury claims are resolved through out-of-court negotiations. However, if the insurance company or any other party that your attorney negotiates with fails to offer you the compensation that you need and deserve after being injured, a good injury attorney will not hesitate to prepare an effective legal strategy and take your case to trial. IS IT RISKY TO TAKE A PERSONAL INJURY CASE TO TRIAL? There is always a small amount of risk when you take a personal injury case to trial, because there is never a guarantee regarding what the jurors will decide. The risk, however, is your attorney’s, not yours. That’s because personal injury lawyers work on a contingent fee basis and charge clients nothing up front. Your attorney is owed nothing until and unless compensation is recovered on your behalf. And that’s why, if your attorney recommends taking your case to trial, you probably should. A personal injury trial is not like any courtroom scenario that you’ve seen on television. It’s more like standing in line for your driver’s license – long, boring, and sometimes confusing. WHAT HAPPENS BEFORE A PERSONAL INJURY TRIAL? A personal injury trial can last for a number of days or even for several weeks, and preparation for the trial can be as lengthy and stressful as the trial itself. 1. The lawsuit is filed: Your lawyer prepares the lawsuit and files it. 2. The lawsuit is “served”: If the defendant in your case is an individual, a process server must hand the legal paperwork to the defendant in person. If the defendant is a business, the paperwork is served to an agent of the business. 3. Responding to an “interrogatory”: You’ll receive written questions – an interrogatory – from the other side’s attorney(s) about the accident and your injury. Answering truthfully is essential. Your attorney may also submit questions to the defendant. 4. Testifying at a deposition: Before any trial begins, each side may “depose” witnesses under oath. 5. Submitting to a medical examination: Personal injury defendants have the right to ask a doctor of their choice to conduct a medical examination on the injury victim (called the “plaintiff”). 6. Submitting to the arbitration process: Most California lawsuits are settled in arbitration. Arbitrators are neutral parties trained to review evidence and resolve personal injury cases. If either side rejects an arbitrator’s decision, the case goes to court. 7. Attending a final settlement conference: A final effort is usually made to settle the case before trial. 8. Taking the case to trial: Should all negotiating efforts fail, the case will be tried before a judge or a jury. Witnesses can be questioned, evidence may be presented, and a verdict will be determined. 1. A jury is selected: Both sides may question each potential juror, and both sides have the right to reject individual jurors – for any reason or for no reason at all. 2. Opening statements are presented: Each side is allowed to introduce the case it will present. Jurors learn why the plaintiff believes the defendant is liable and why the defendant believes otherwise. 3. Testimony is heard and evidence is presented: A plaintiff may present photographs, documents, medical reports, or recorded statements and ask witnesses to offer testimony. The defendant’s side may then present its own evidence and testimony. 4. Closing arguments are offered: Each attorney is allowed to summarize the case for the jury with a closing argument. 5. Jurors are instructed: When closing arguments have concluded, the judge gives the jurors precise instructions for reaching a verdict. 6. The jurors deliberate: Jurors deliberate to reach what they believe is a just and fair verdict. 7. Jurors render a verdict: California requires unanimous jury verdicts. In a personal injury case, if the verdict is unanimous in favor of the plaintiff, an award amount will be specified. If a unanimous verdict is not possible, the judge may order a second trial. Especially when a large sum is awarded to the plaintiff, it’s likely that a defendant will appeal the verdict. WHAT ELSE SHOULD YOU KNOW ABOUT PERSONAL INJURY TRIALS? During a personal injury trial, a judge’s role is to rule on evidentiary questions, instruct jurors regarding the law, and keep the proceedings moving effectively. Once again, it’s important to remember that more than ninety percent of personal injury cases in California are resolved without a trial. Every case is different, so if you’ve been injured because someone else was negligent, get the personalized advice and aggressive representation that you’ll need by consulting an experienced Fresno personal injury attorney – as soon as possible after you’ve been injured.